fateme@@ (Dezful, Iran) on 11 November 2015 in Plant & Nature. That rock looks to contain many secrets . . and is sure to keep them. @Ronnie 2¢: Surely it keeps them. Thank you for your comment. Ceci est le plus grand trésor de ce planétarium. Merci, Jpla. @Jypyä Pop: Yes, it was great, but I really did not know how should say hello to it. Thank you for your visit. dos dashtam negah konam ye shahab sangoo!! @Dimitrios: Yes,... Thank you, Dimitrios. @Gérard: Interesting. Thank you, Gérard. Interesting subject. Thanks for sharing. @Hiro: Thanks for your visit. 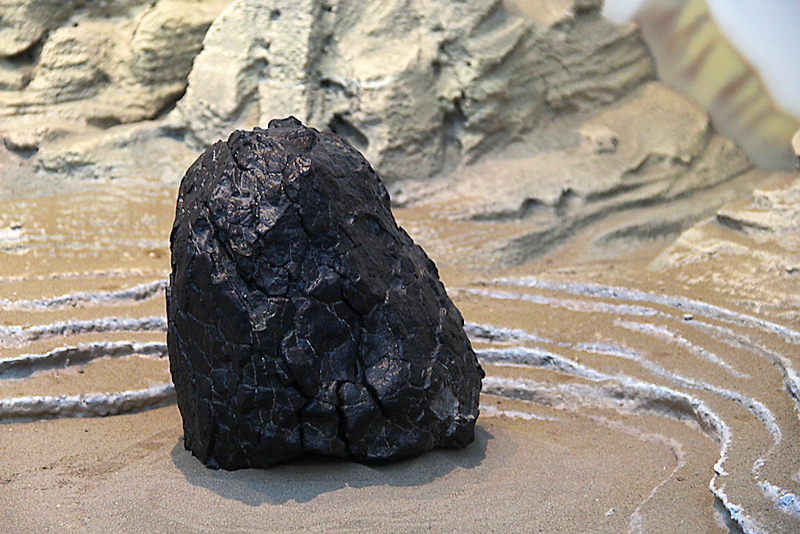 Excellent image of this meteorite. @Michael Skorulski: Thank you for your visit and comment. Incredible standout of color and texture that you've captured in this meteorite!! @Baldwin VW: :) It was my first time too. Its height is about 30 cm and it weights 17 kg. It was found in a desert a year ago but the date that it fell to the earth, has not still been specified.